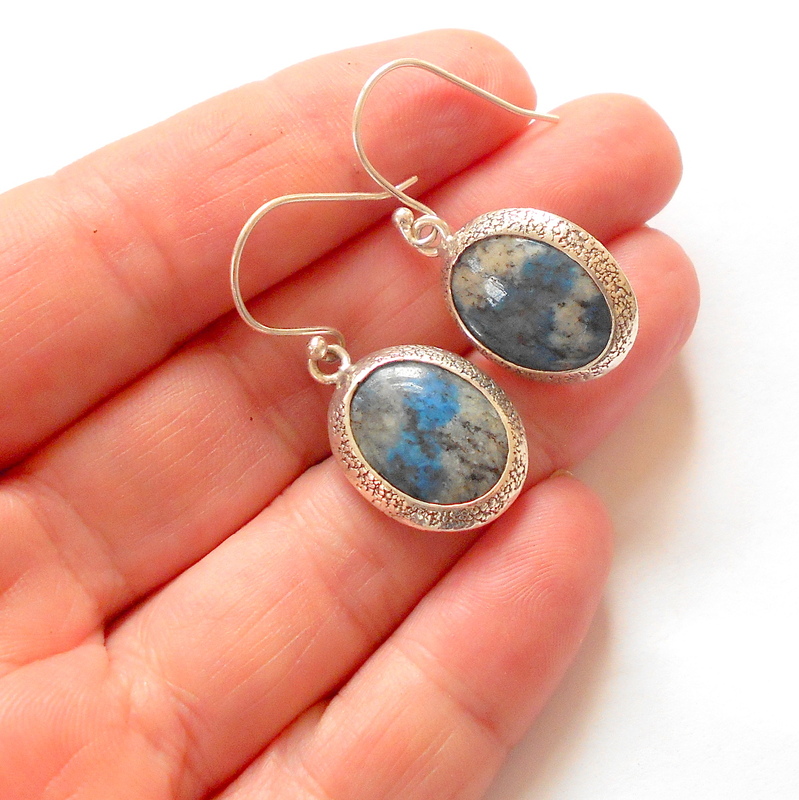 Natural K2 gemstones set in sterling silver earrings. 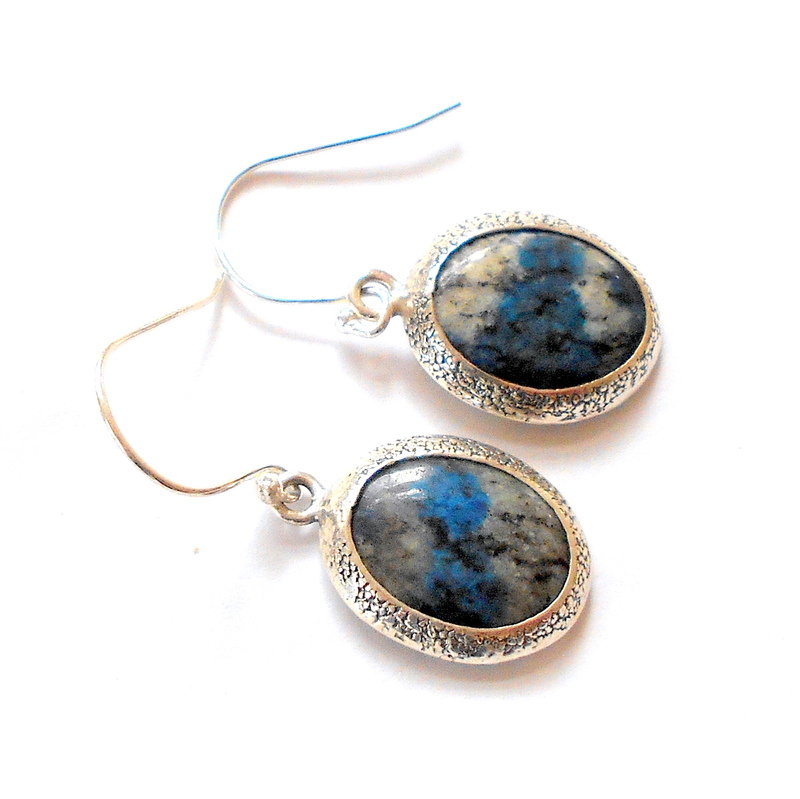 K2 is a naturally forming combination of granite and blue azurite. K2 is named after the Karakoram mountain range near the border between Pakistan and China, where it is found at the base of the mountain. K2 enhances a person's connection with the gods and brings calmness and peace. It helps to boost creativity and improves a person's ability to communicate effectively.